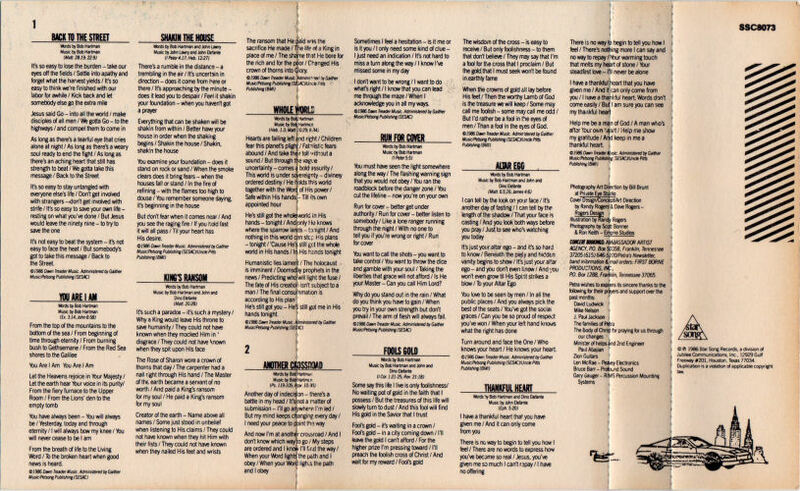 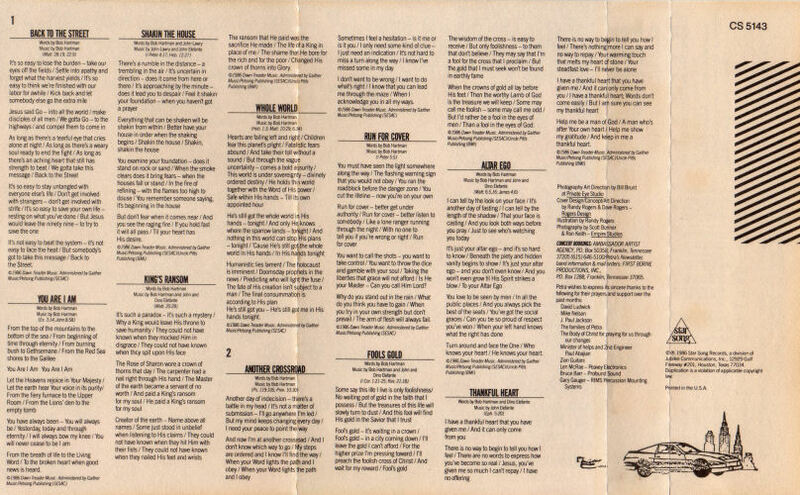 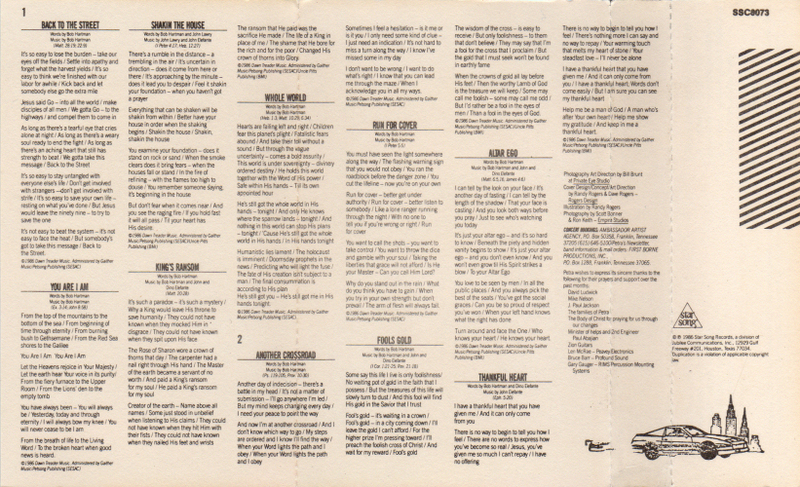 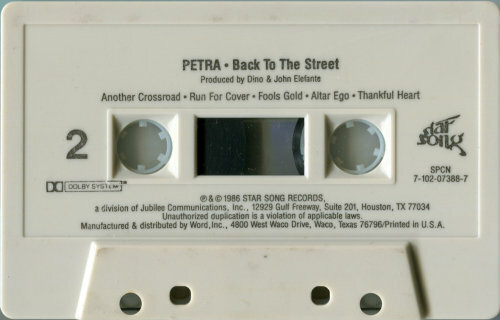 Produced by Dino and John Elefante for Firstborne Productions, Inc.
(p) © 1986 Star Song Records, a division of Jubilee Communications, Inc., 12929 Gulf Freeway #201, Houston, TX 77034 | Manufactured and distributed by Word, Inc., 4800 W. Waco Drive, Waco, TX 76796 | Printed in the U.S.A.
© (p) 1986 Star Song Records, a division of Jubilee Communications, Inc., 12929 Gulf Freeway #201, Houston, TX 77034 | Manufactured and distributed by Word, Inc., 4800 W. Waco Drive, Waco, TX 76796 | Printed in U.S.A.
(p) © 1986 Star Song Records, a division of Jubilee Communications, Inc., 12929 Gulf Freeway, Suite 201, Houston, TX 77034 | Sparrow/Star Song Distribution, 9255 Deering Avenue, Chatsworth, CA 91311 | Printed in U.S.A. 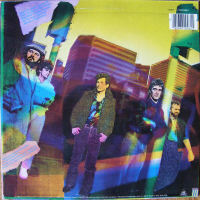 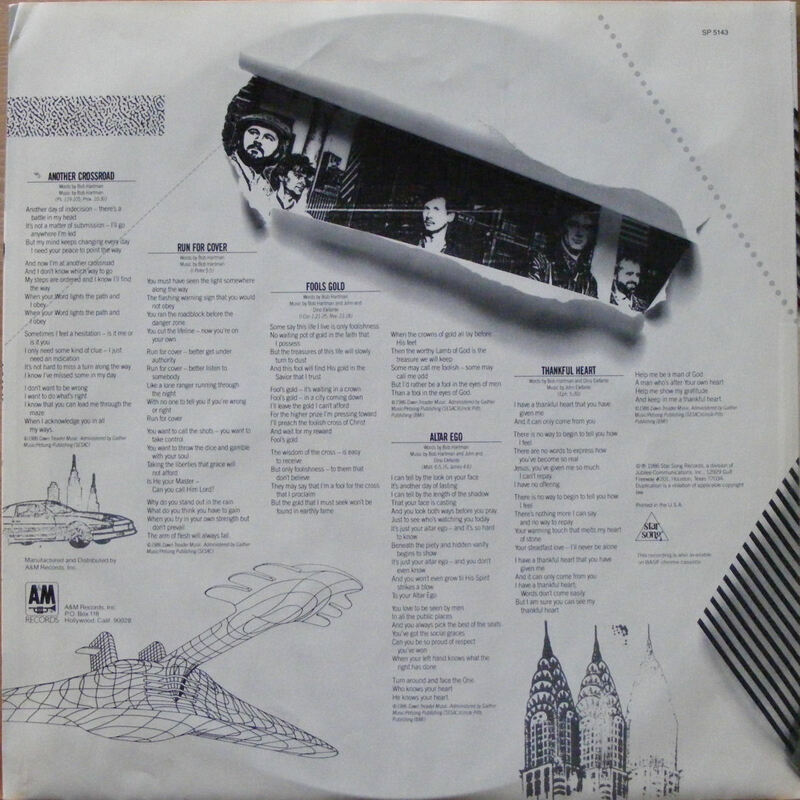 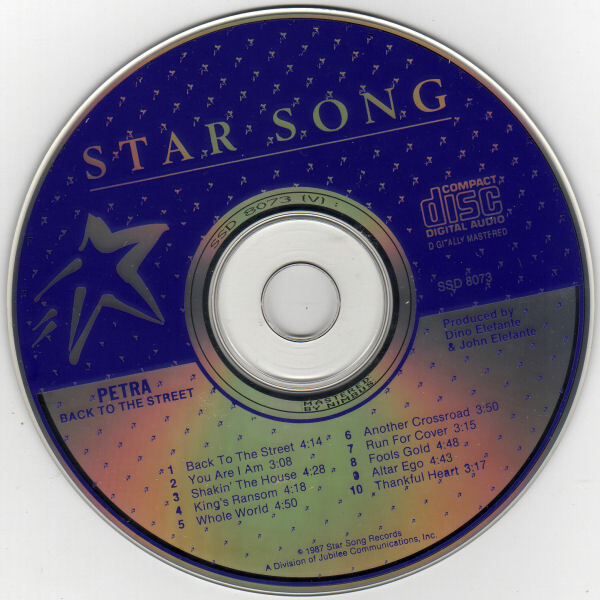 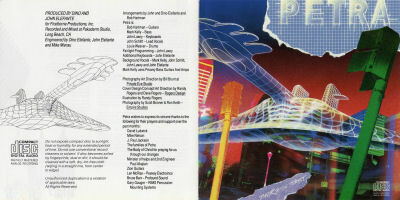 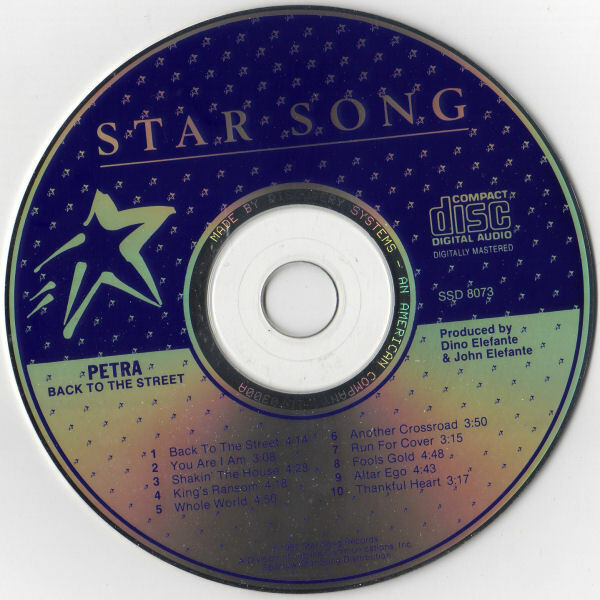 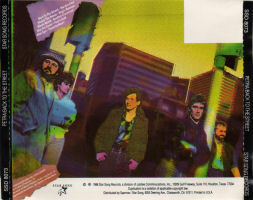 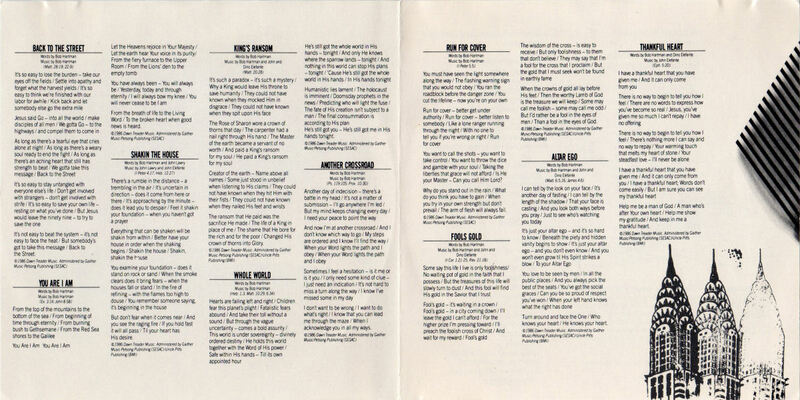 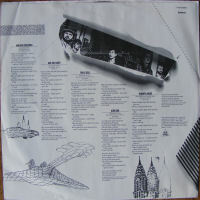 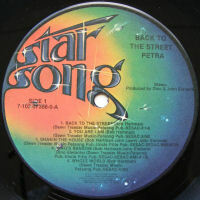 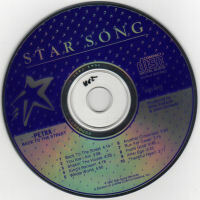 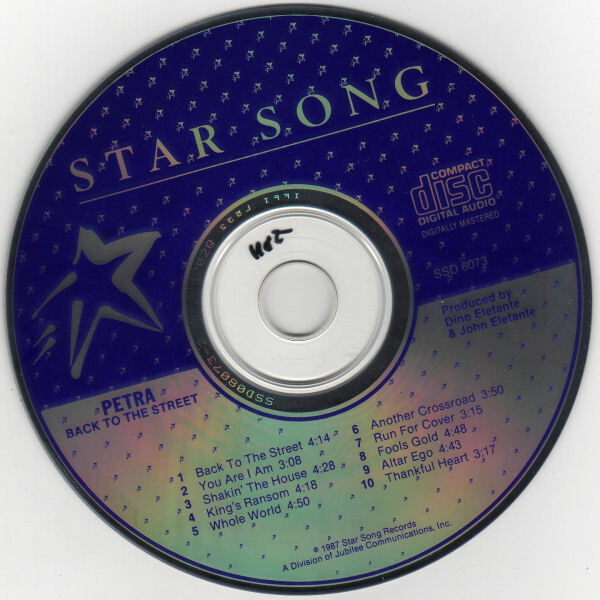 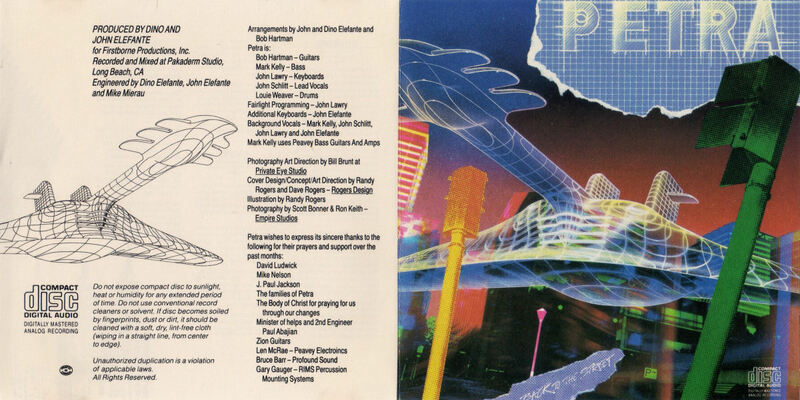 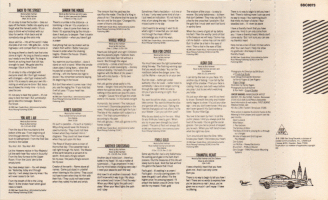 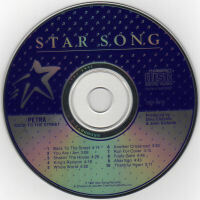 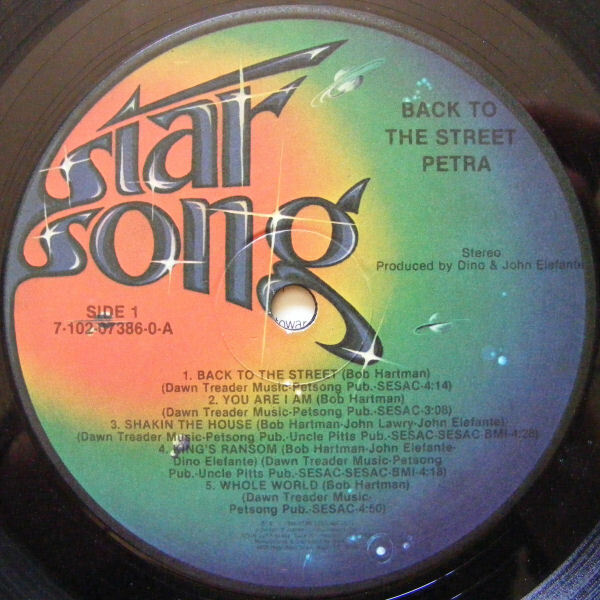 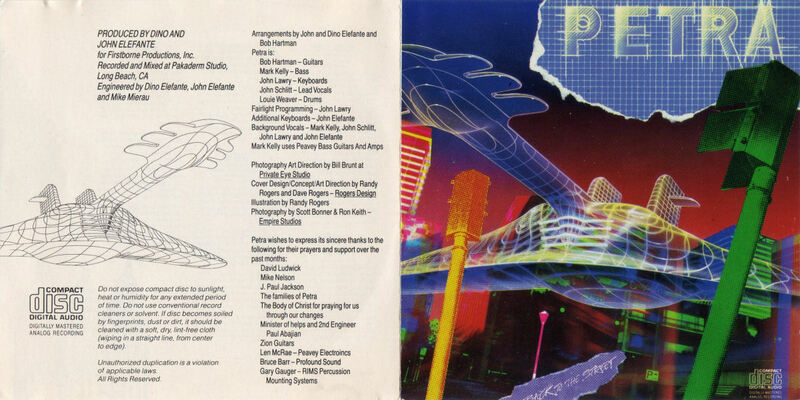 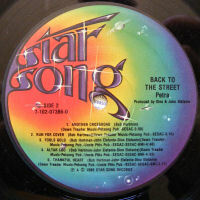 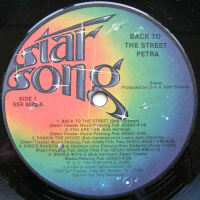 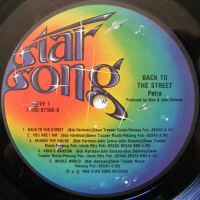 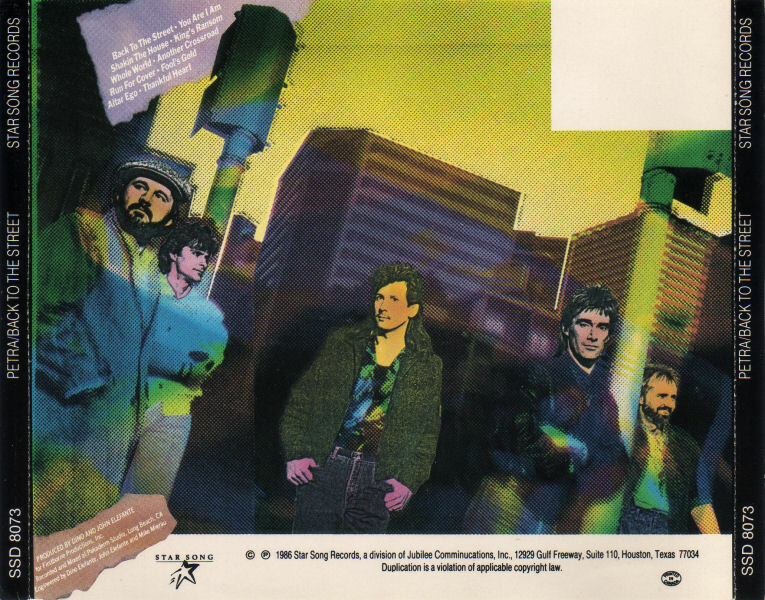 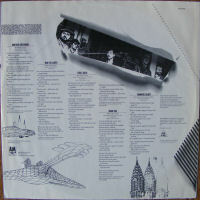 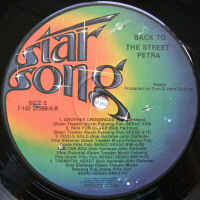 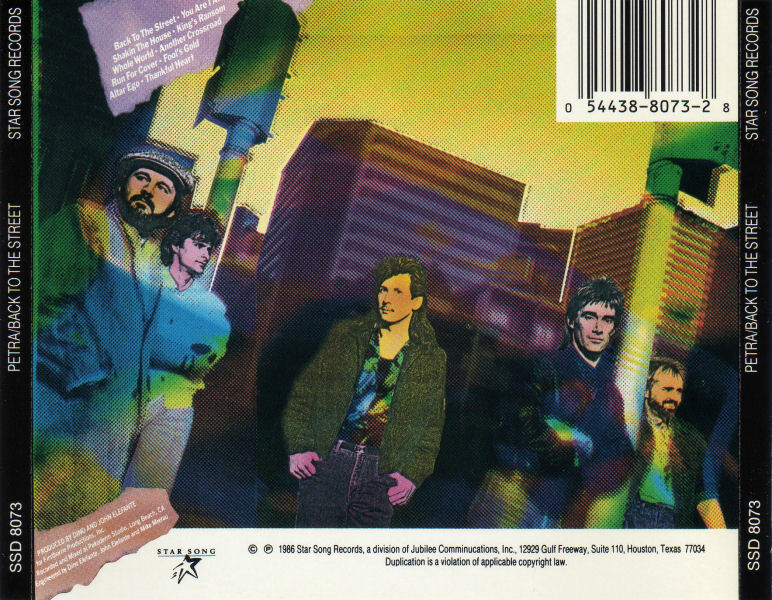 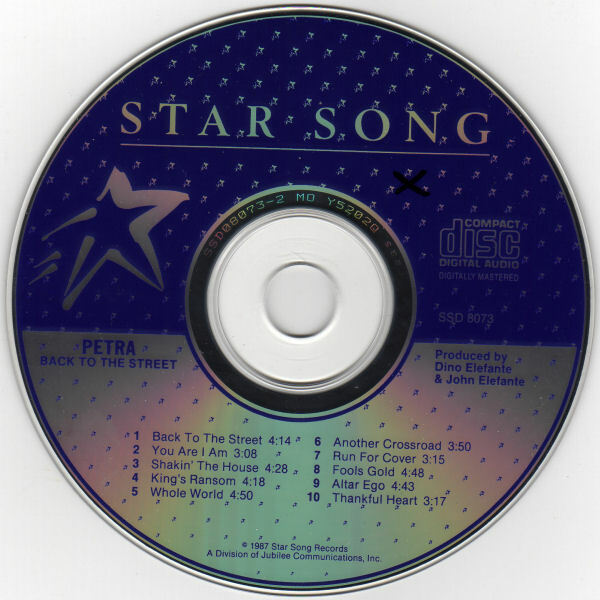 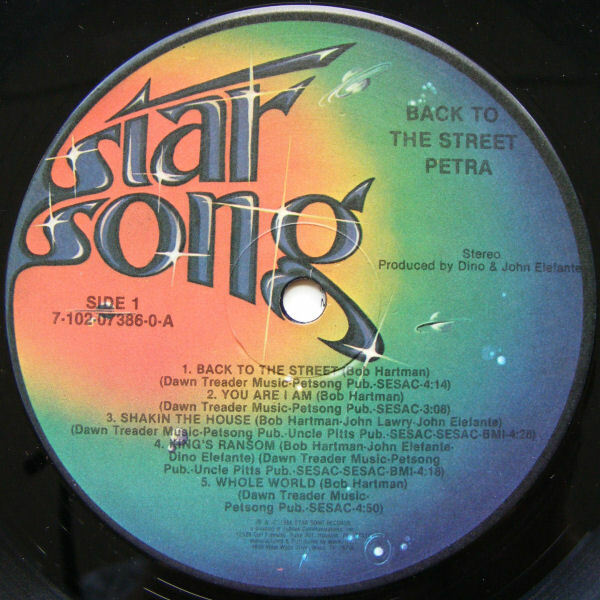 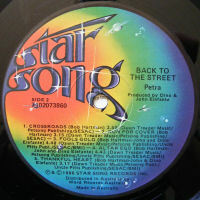 Shell: © (p) 1986 Star Song, a division of Star Song Communications, Inc., P.O. 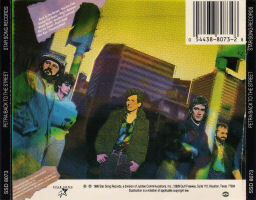 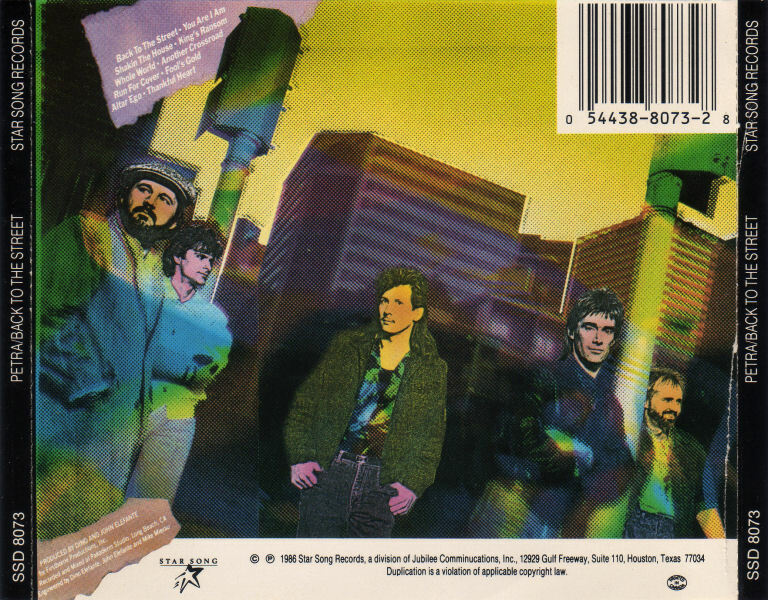 Box 150009, Nashville, TN 37215 | Printed in U.S.A.
© (p) 1986 Star Song Records, a division of Jubilee Communications, Inc., 12929 Gulf Freeway #201, Houston, TX 77034 | Manufactured and distributed by A&M Records, Inc., P.O. 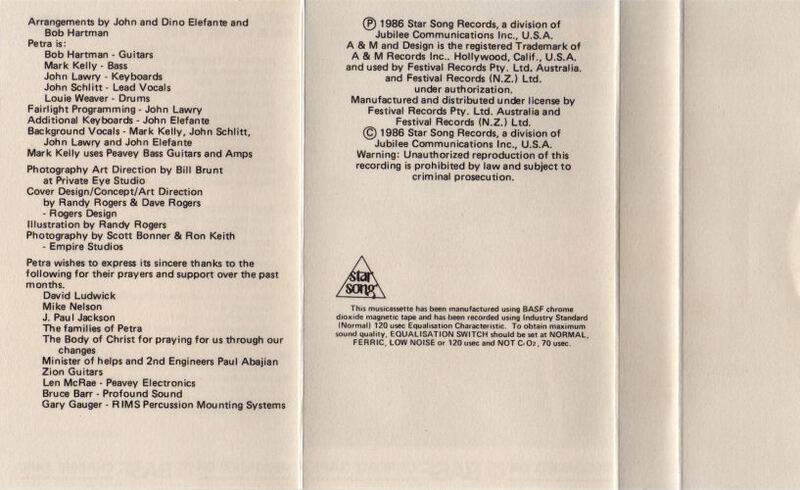 Box 118, Hollywood, CA 90028 | Printed in U.S.A.
(p) 1986 Star Song Records, a division of Jubilee Communications Inc., U.S.A. | A & M and Design is the registered Trademark of A & M Records Inc., Hollywood, CA, U.S.A. and used by Festival Records Pty. 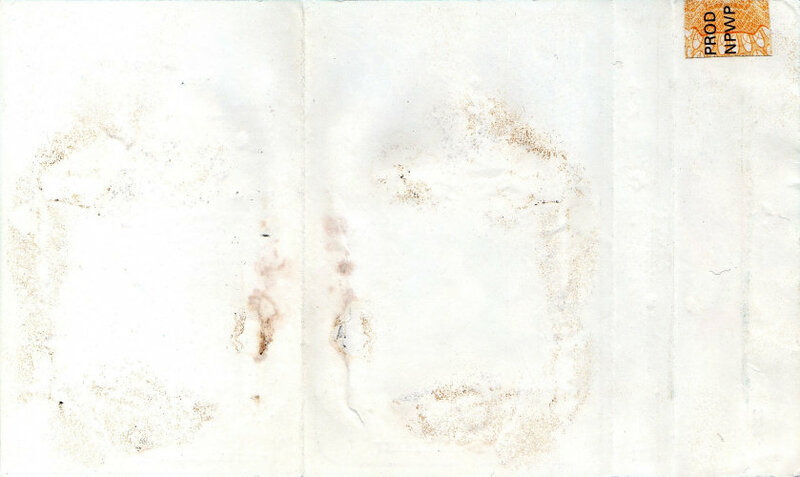 Ltd. Australia and Festival Records (N.Z.) 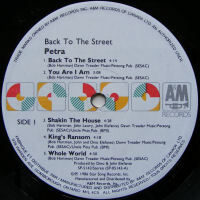 Ltd. under authorization | Manufactured and distriubted under license by Festival Records Pty. 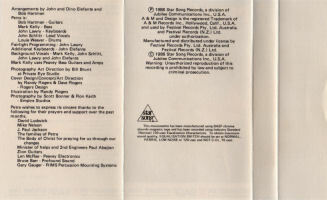 Ltd. Australia and Festival Records (N.Z.) Ltd. | © 1986 Star Song Records, a division of Jubilee Communications Inc., U.S.A. 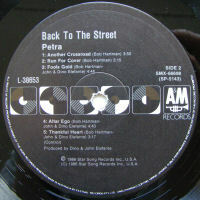 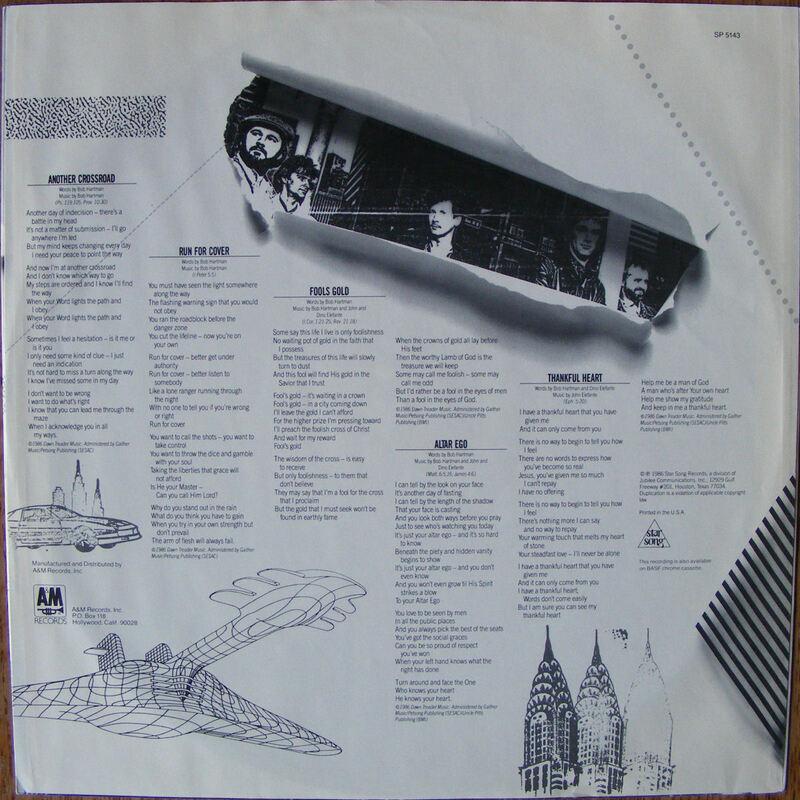 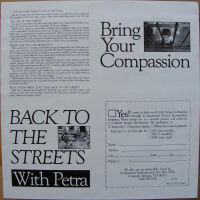 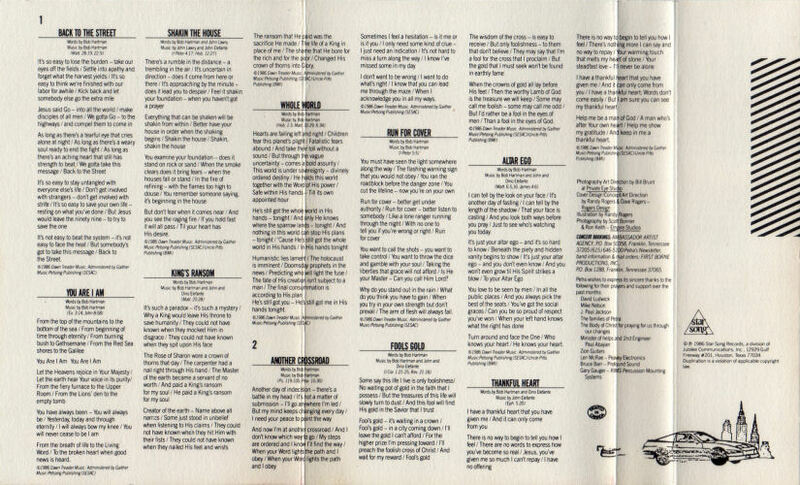 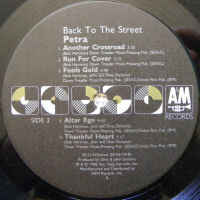 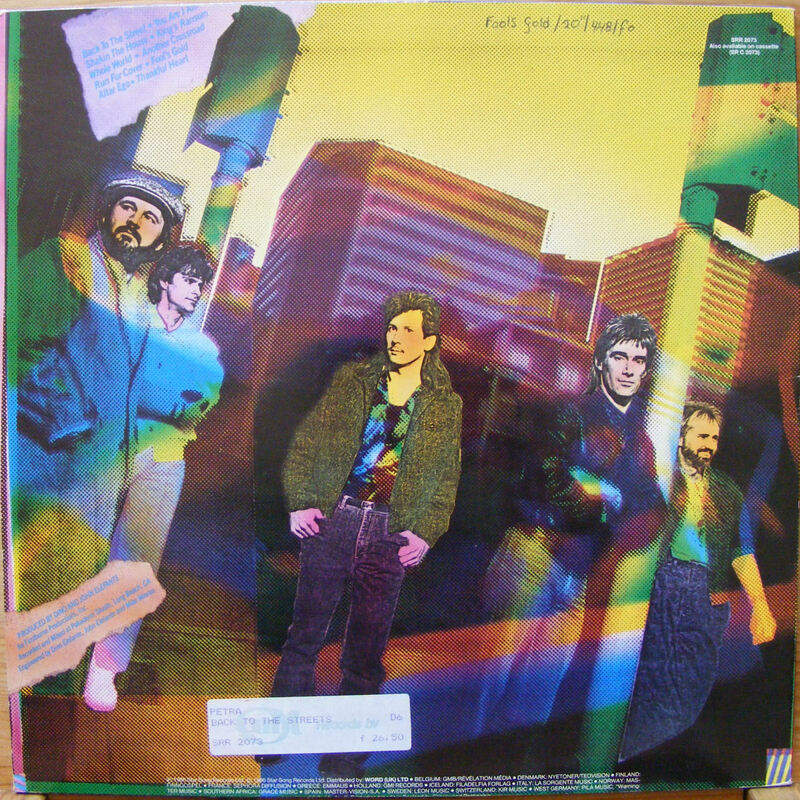 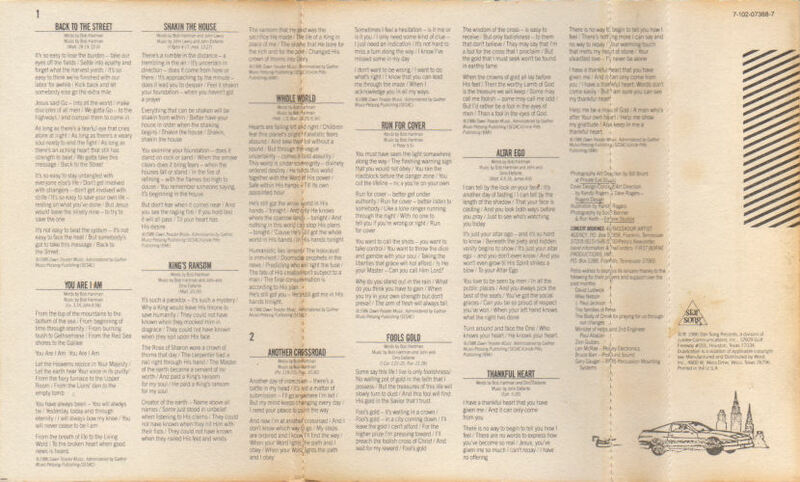 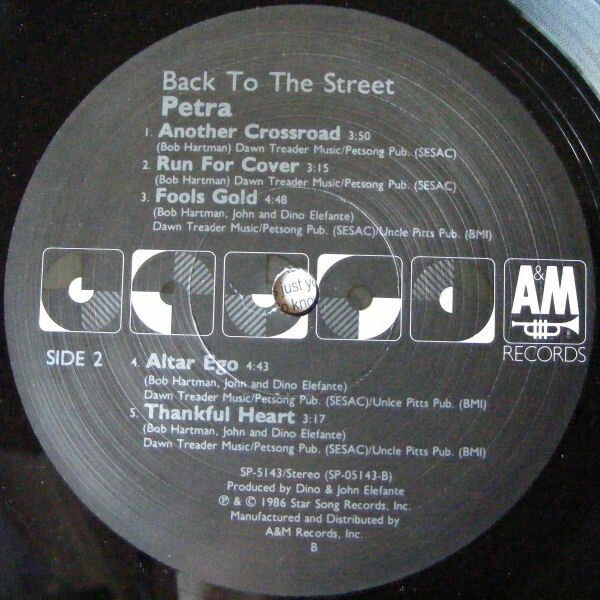 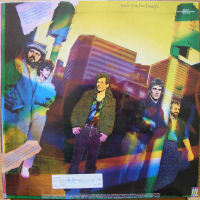 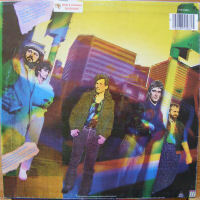 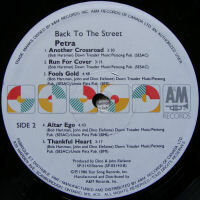 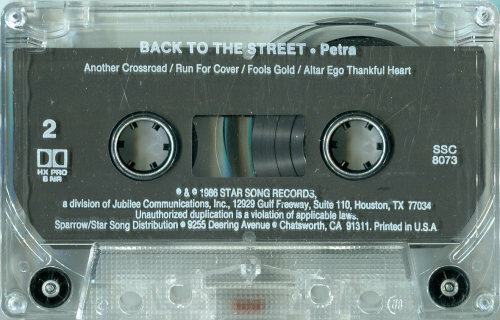 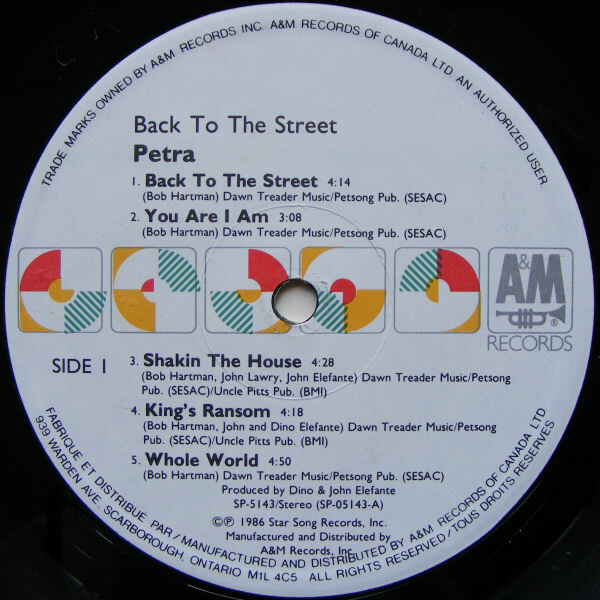 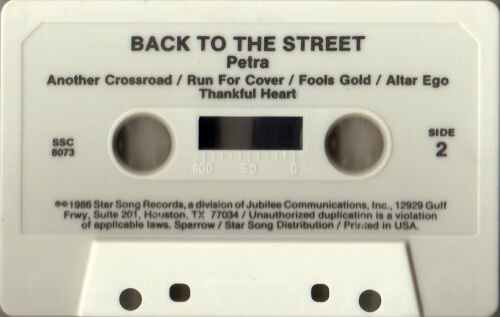 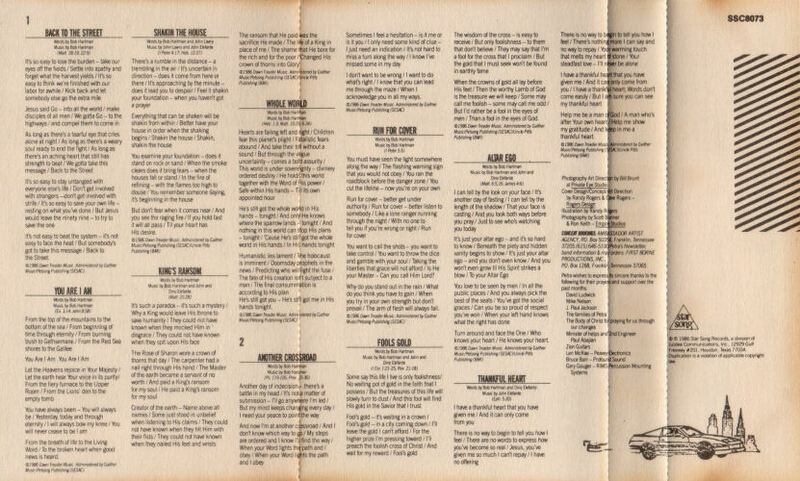 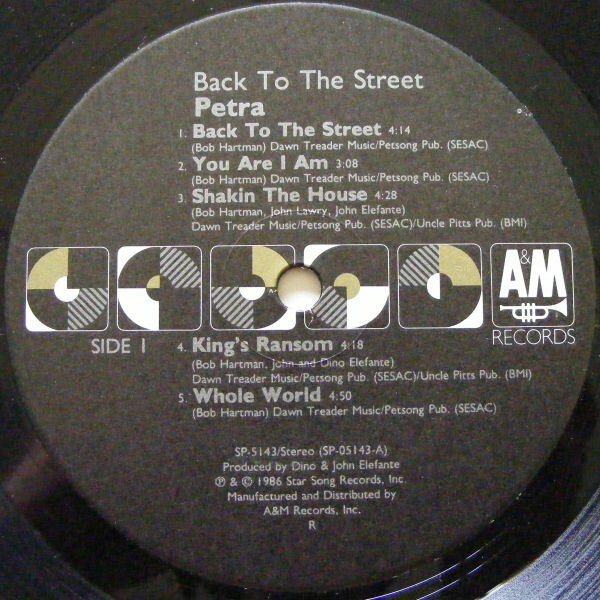 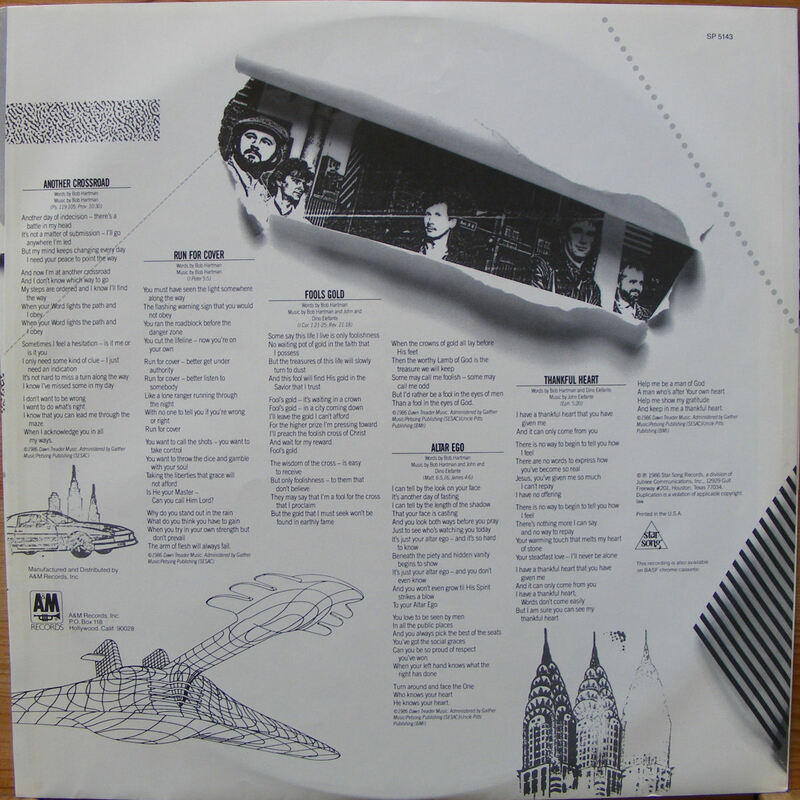 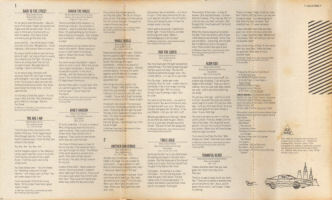 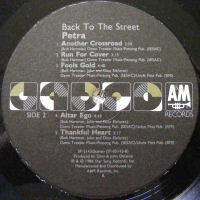 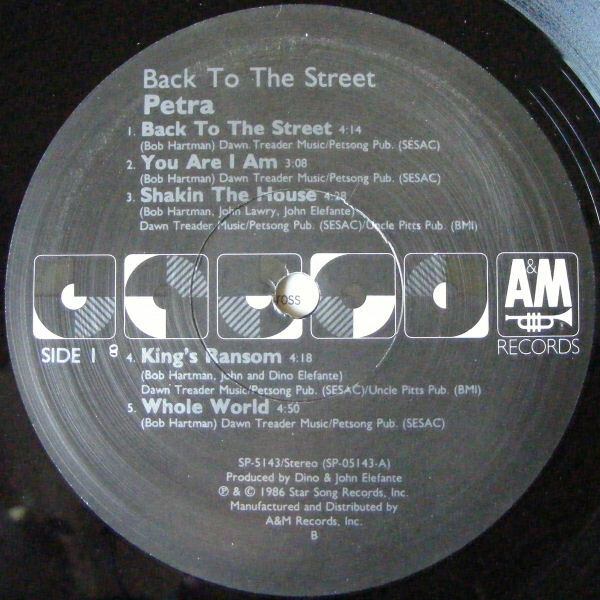 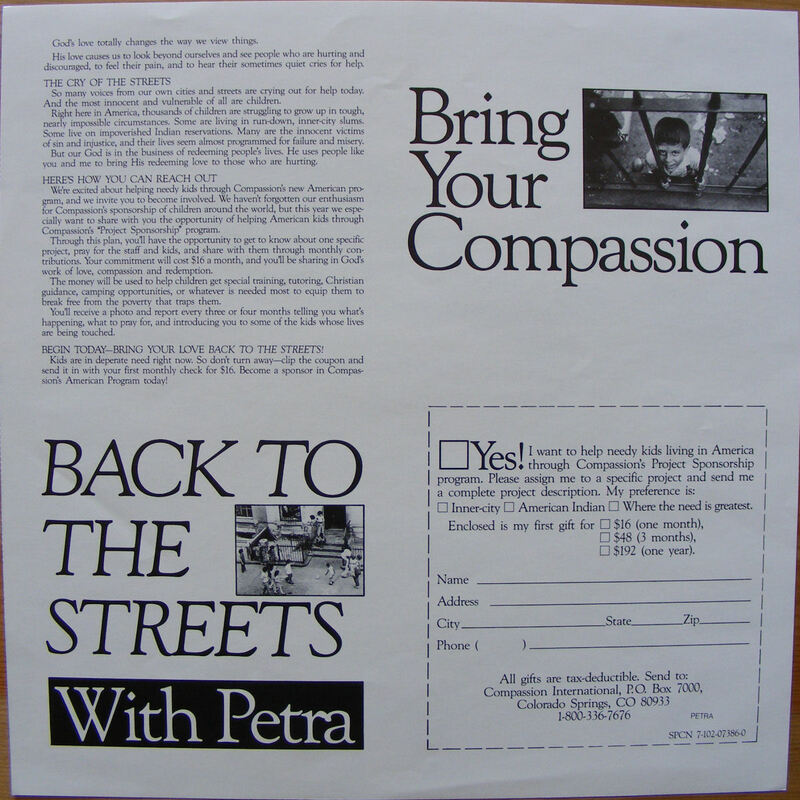 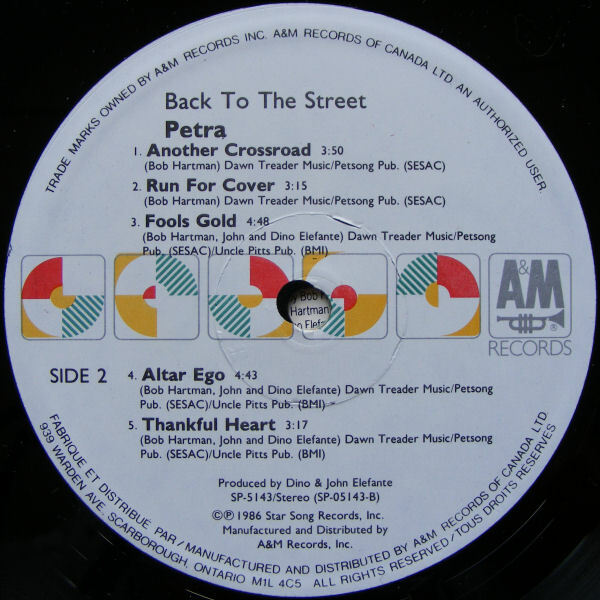 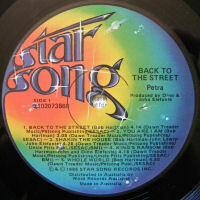 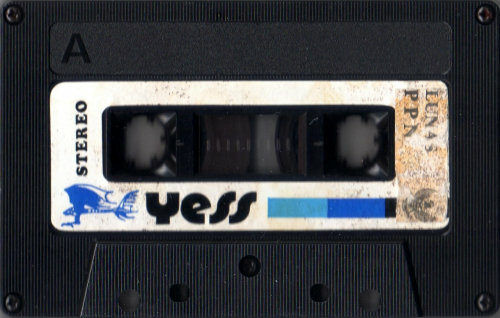 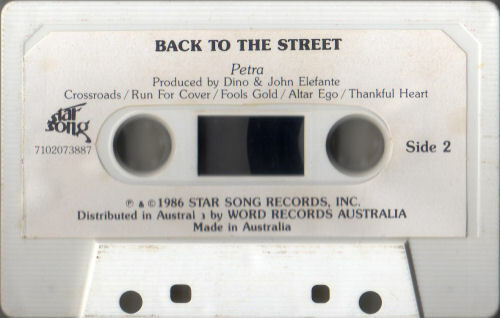 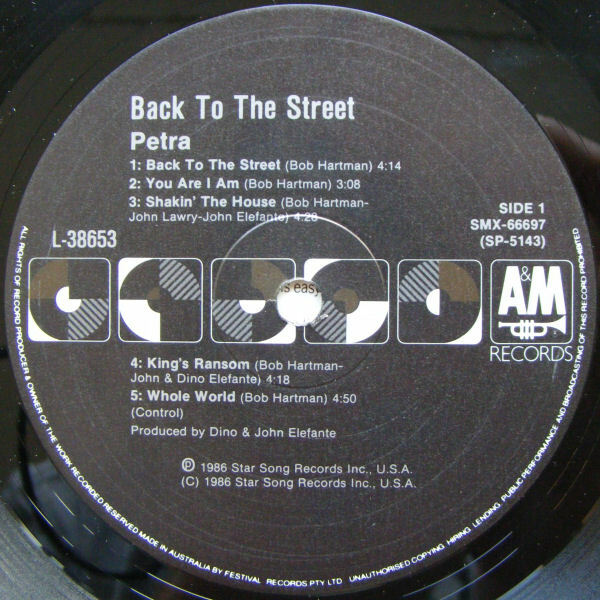 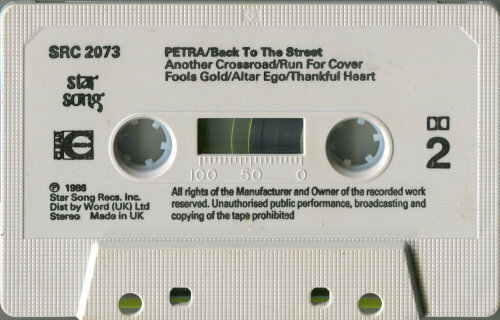 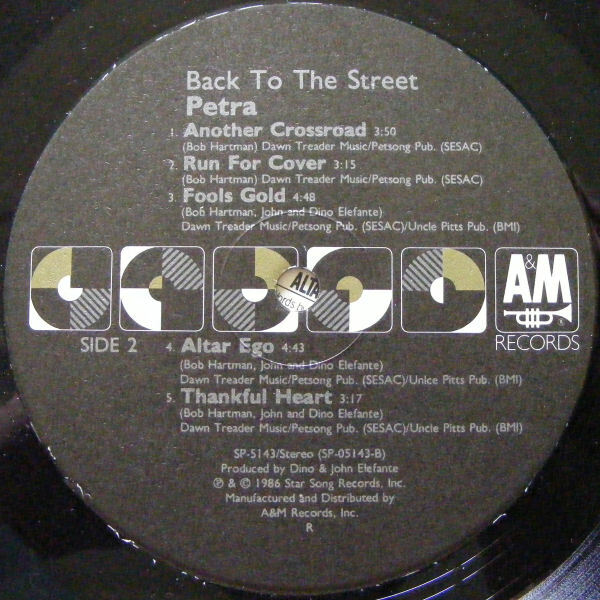 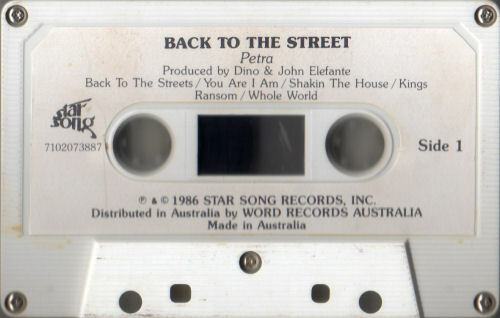 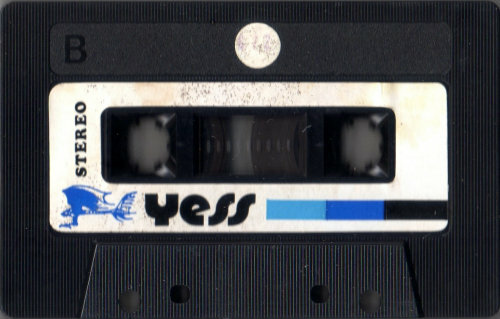 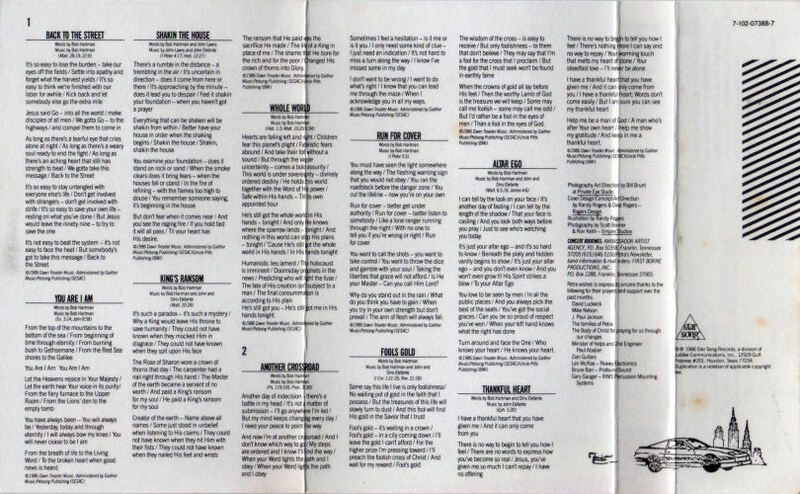 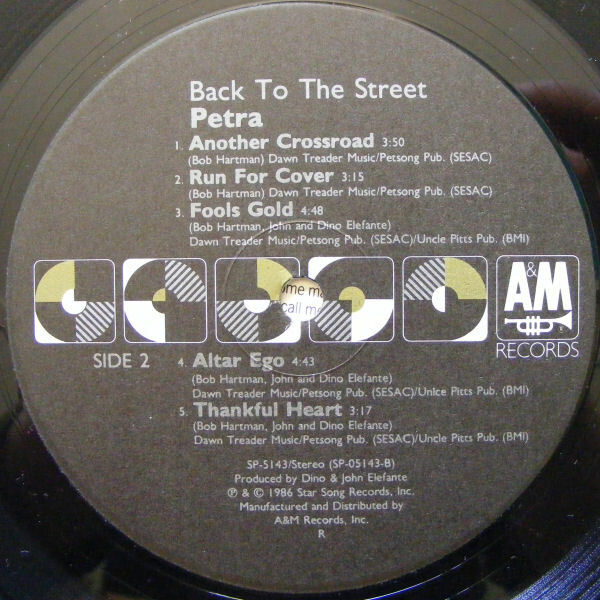 This is a street bootleg that contains the full album Back To The Street (in mixed order) and four additional tracks. 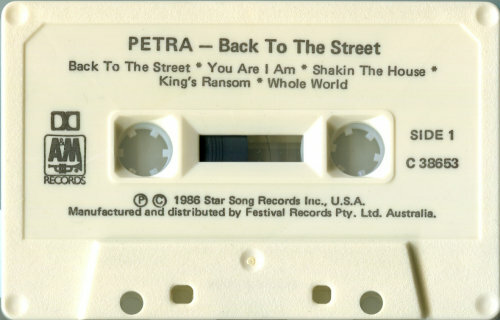 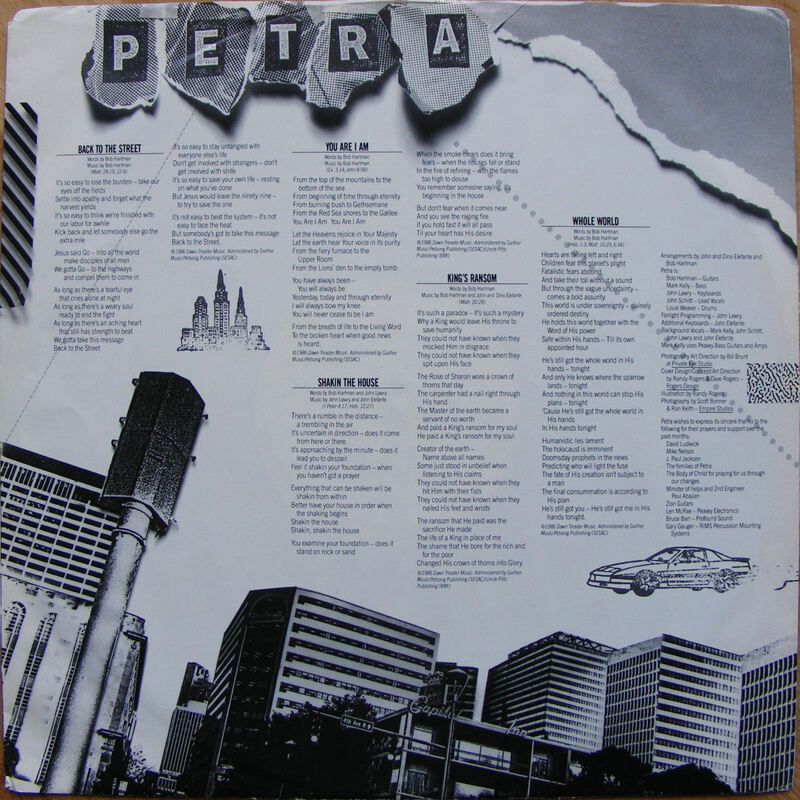 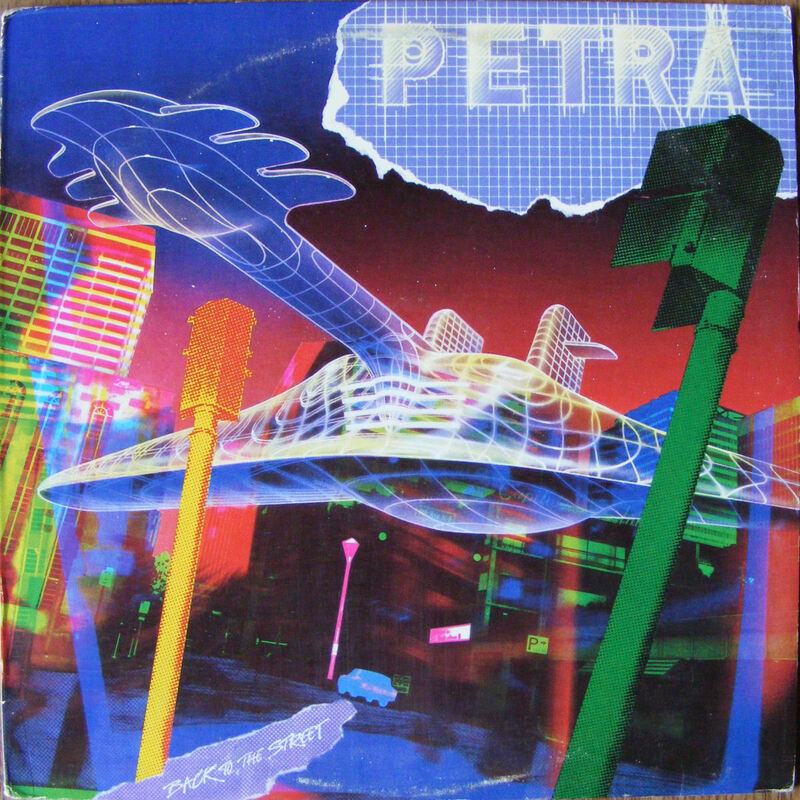 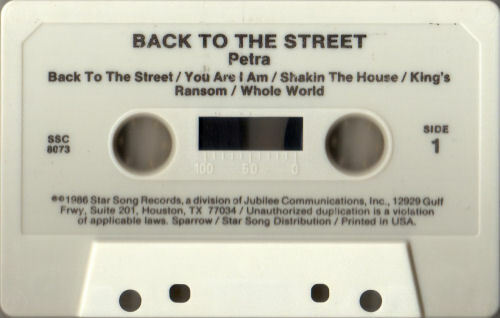 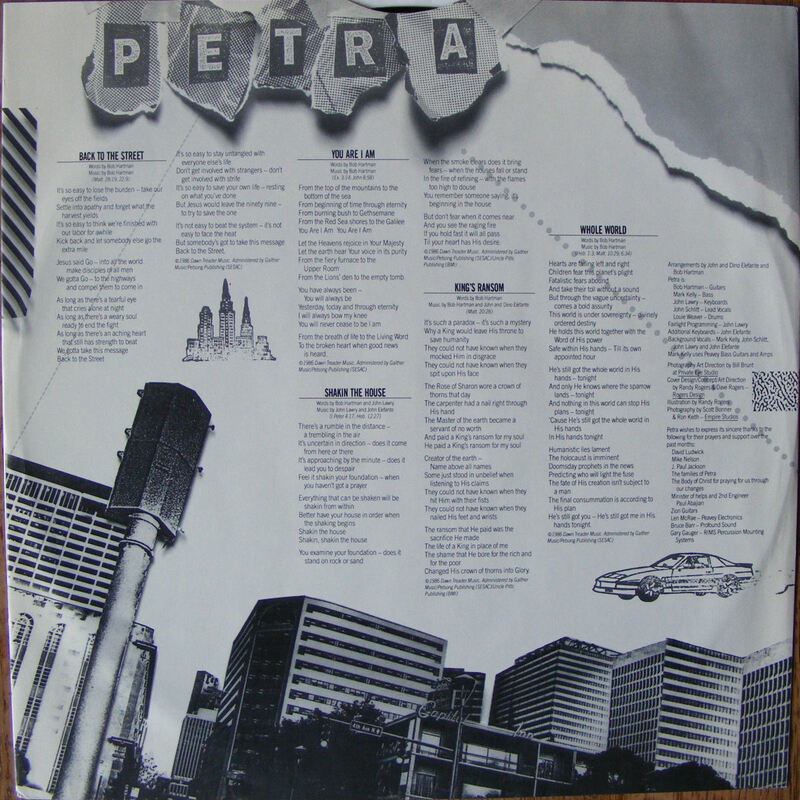 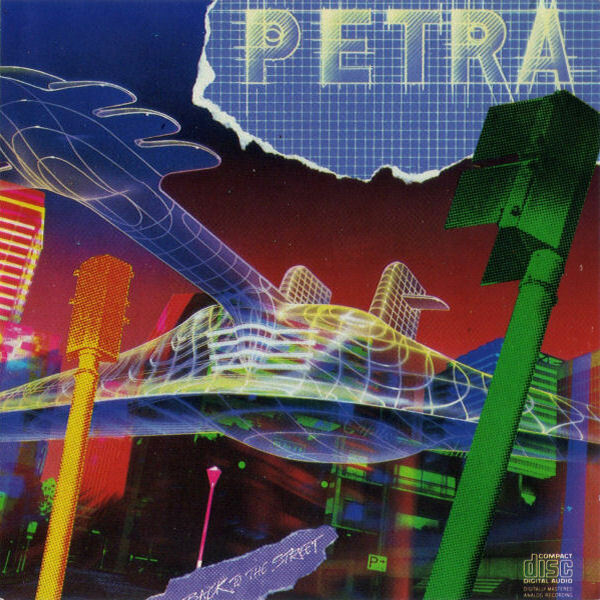 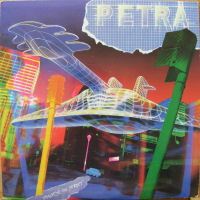 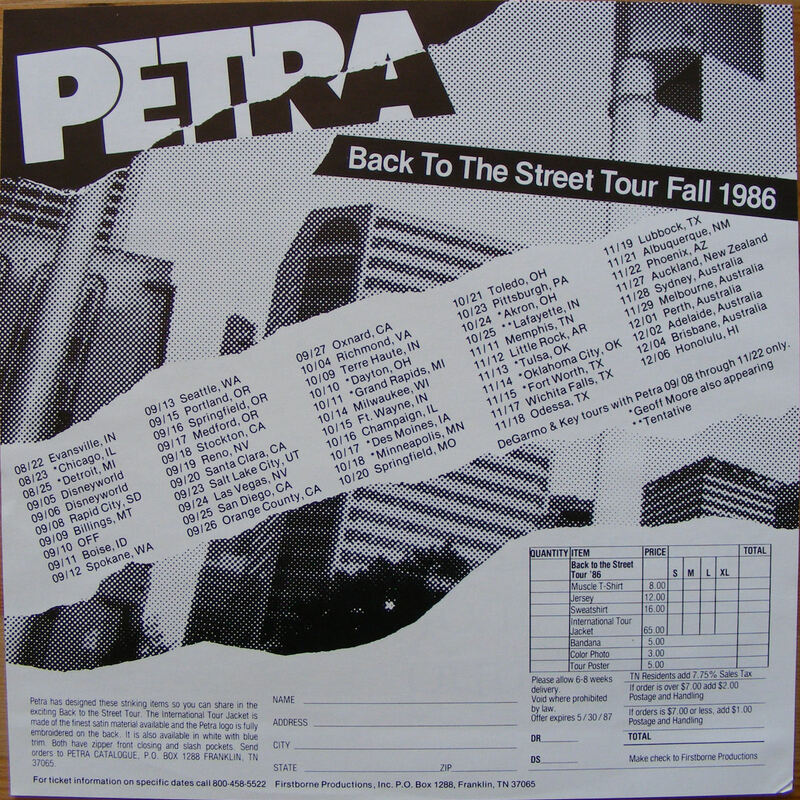 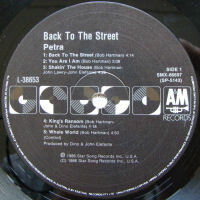 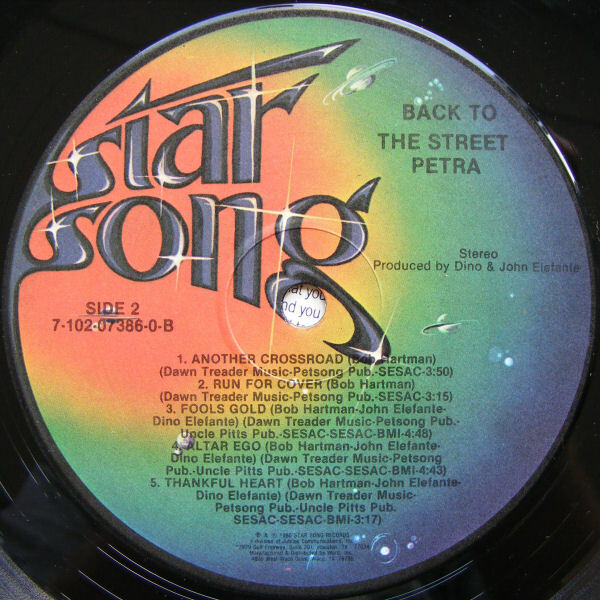 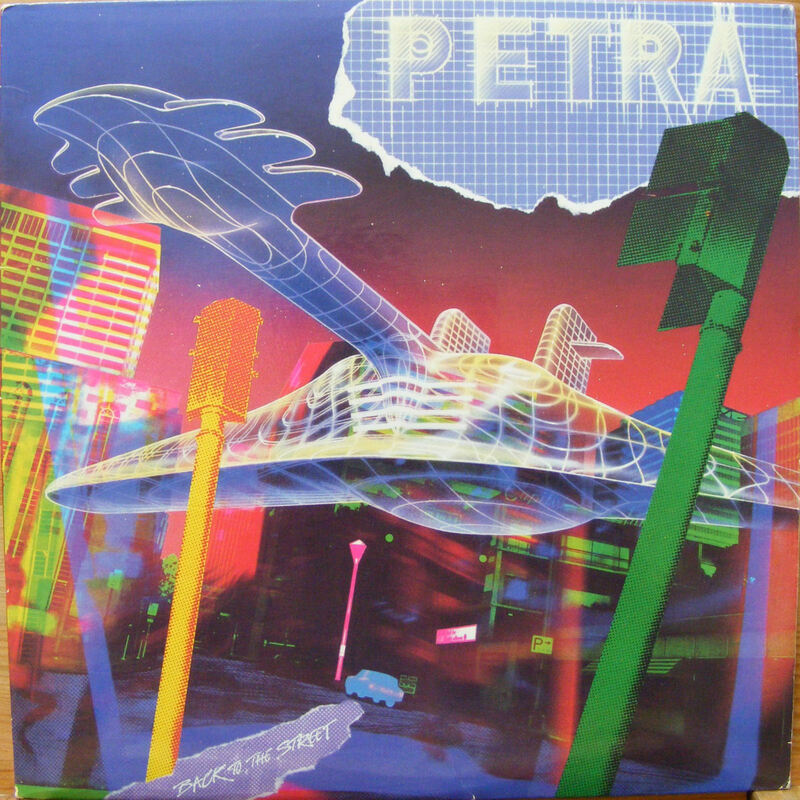 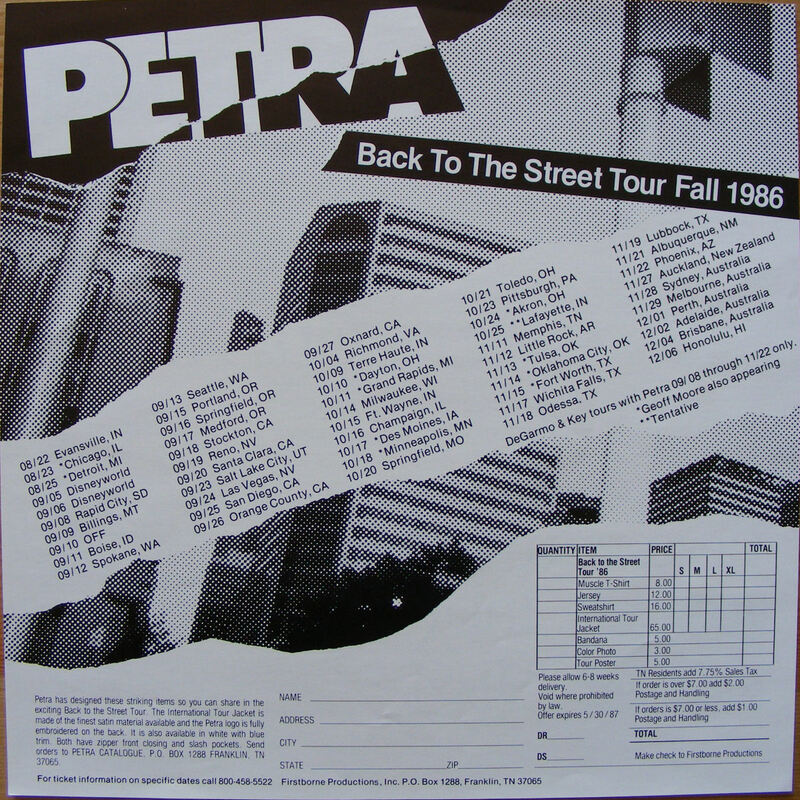 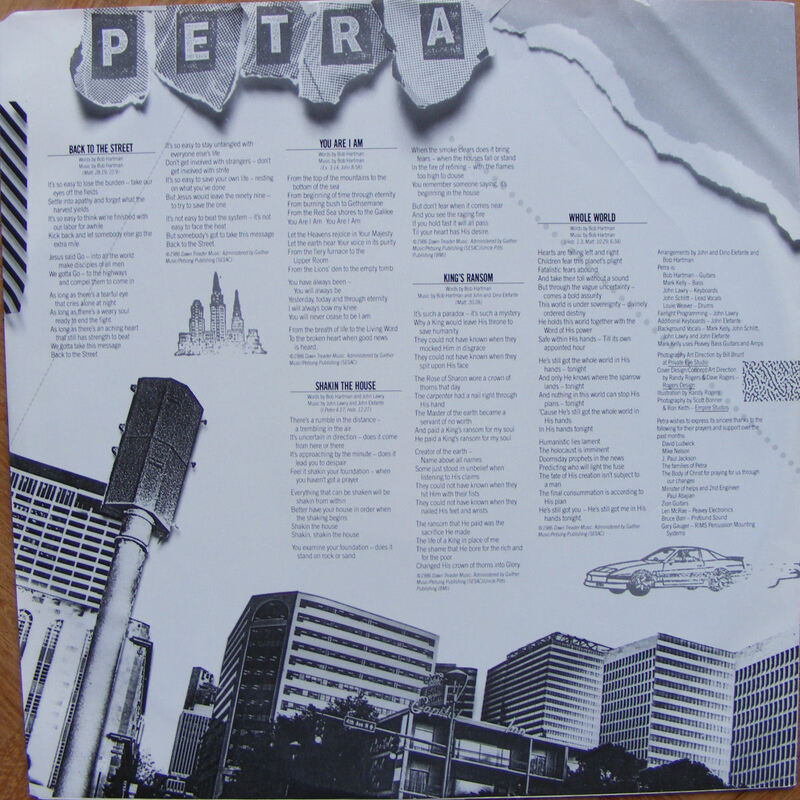 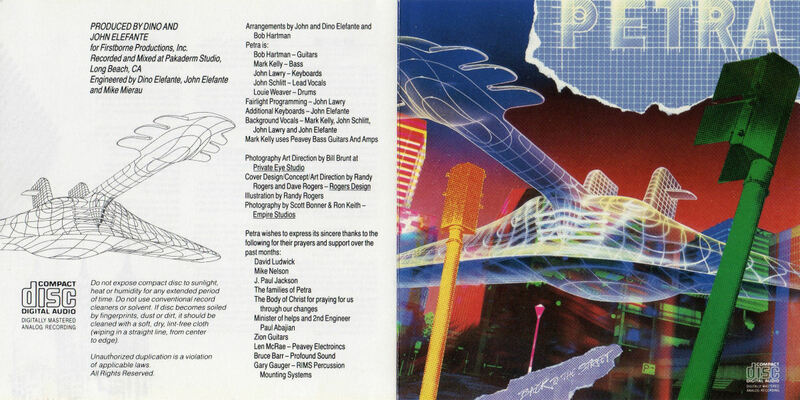 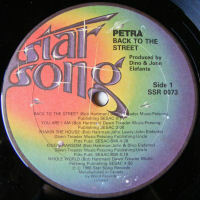 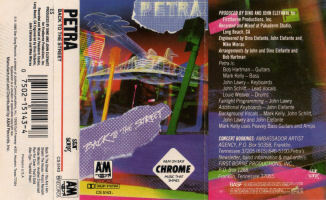 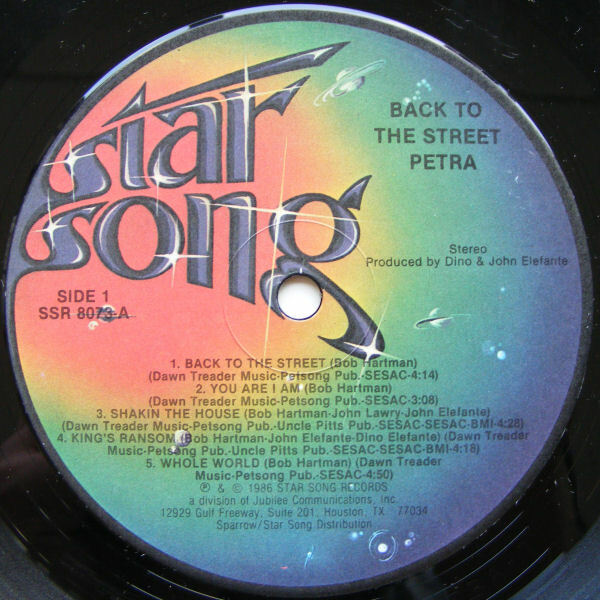 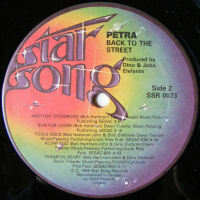 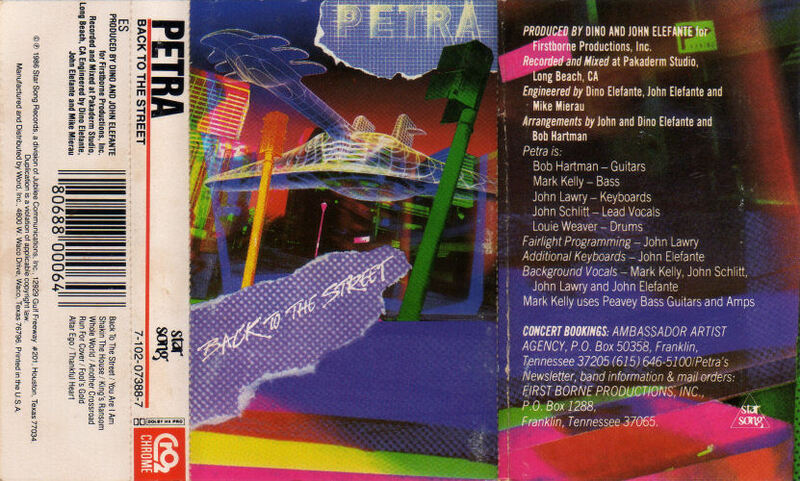 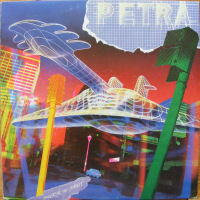 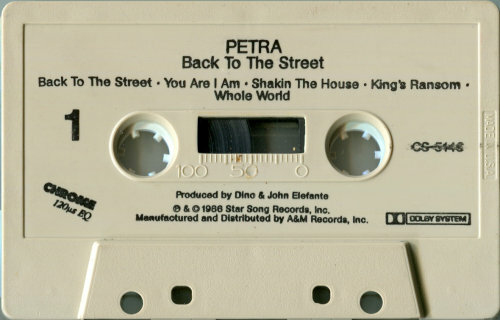 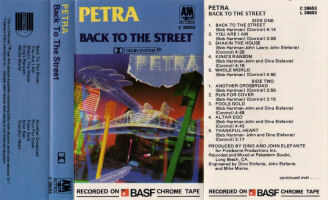 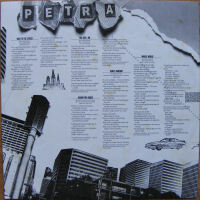 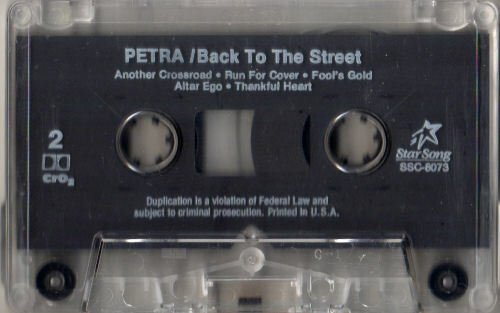 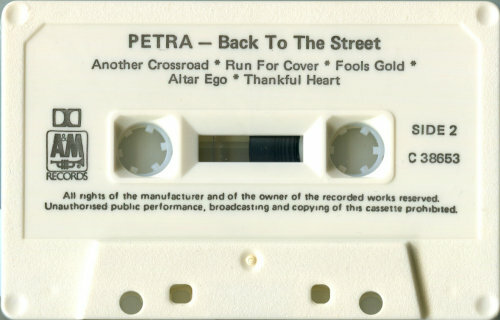 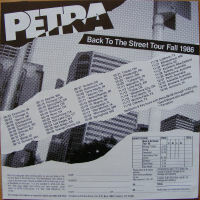 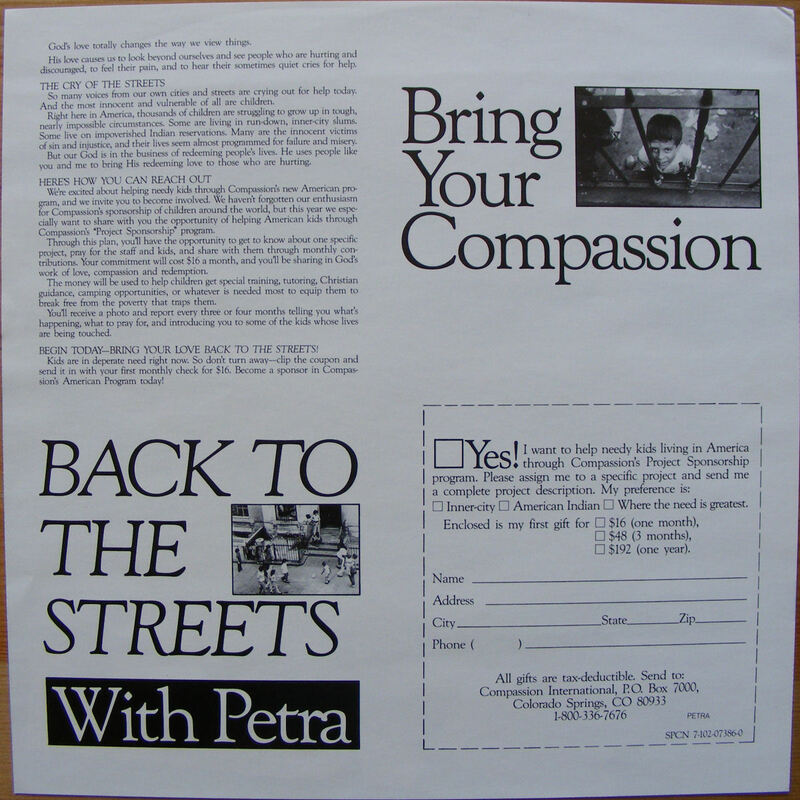 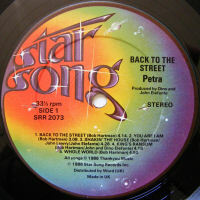 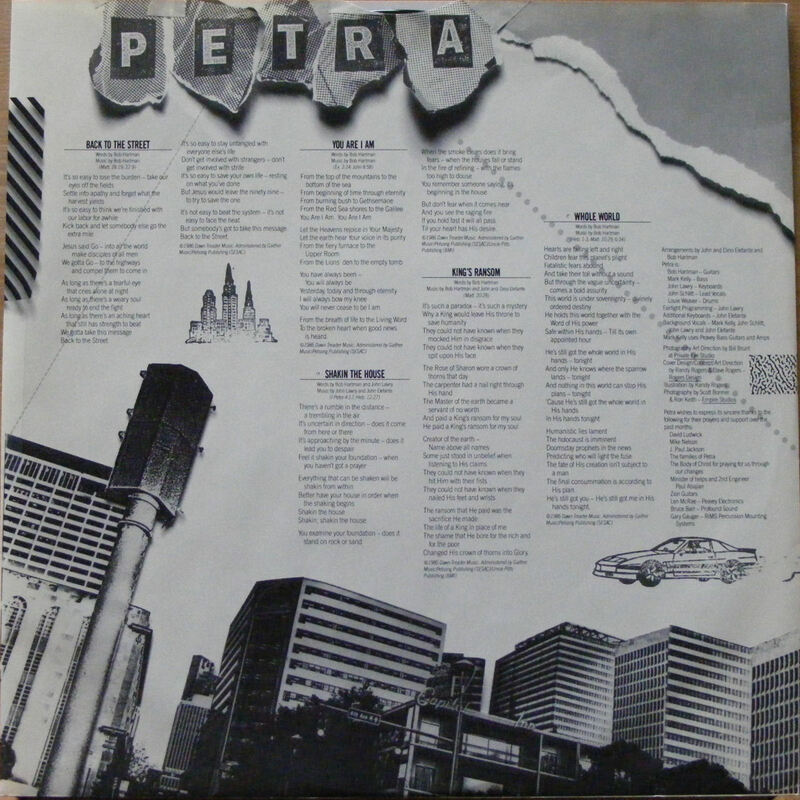 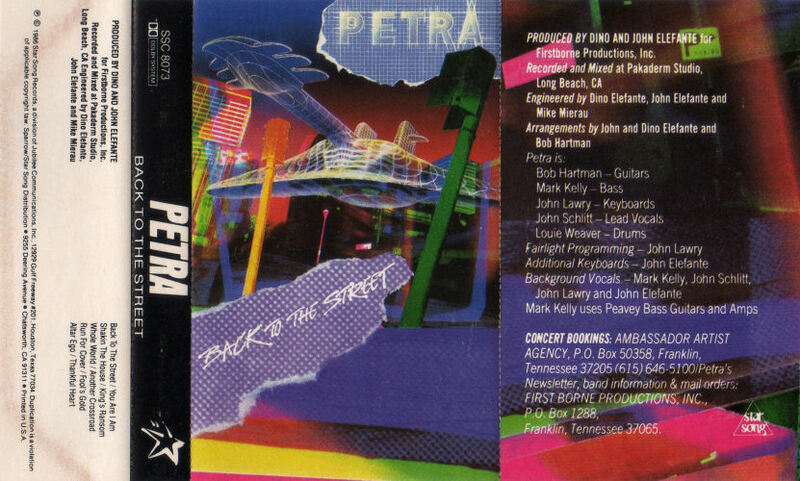 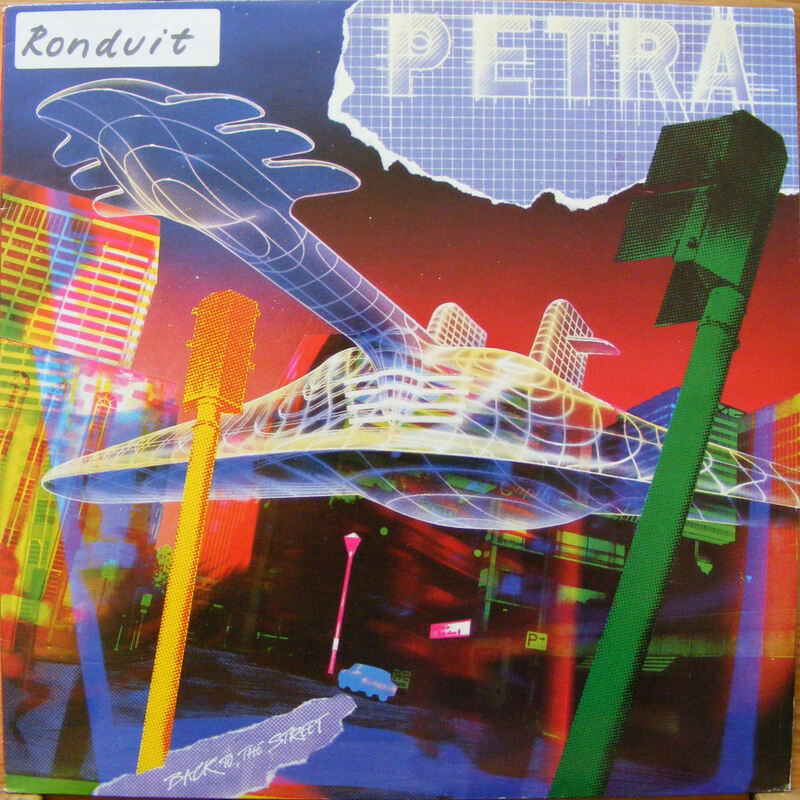 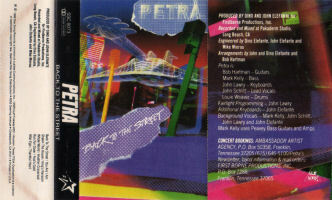 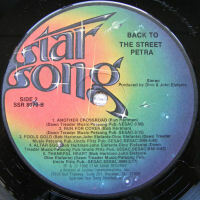 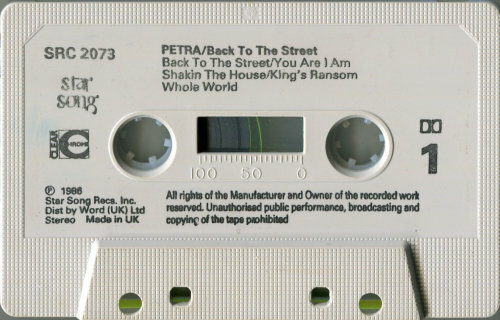 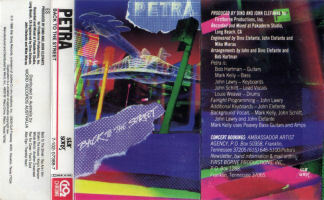 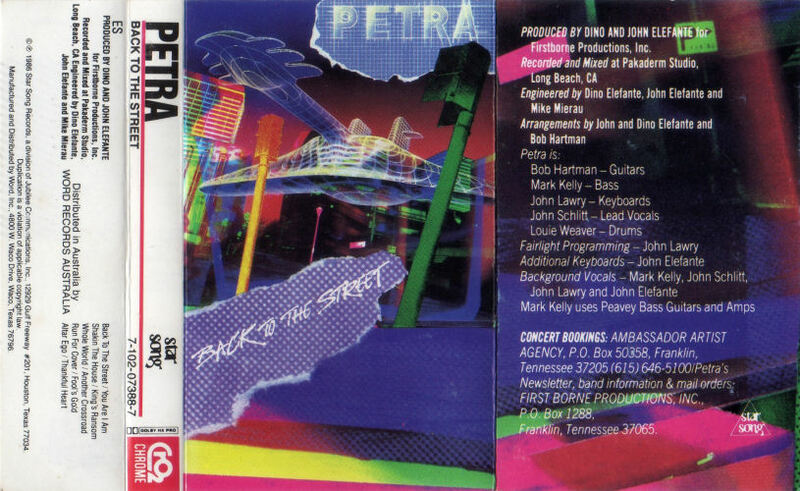 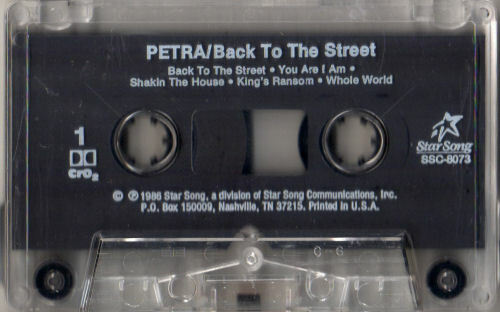 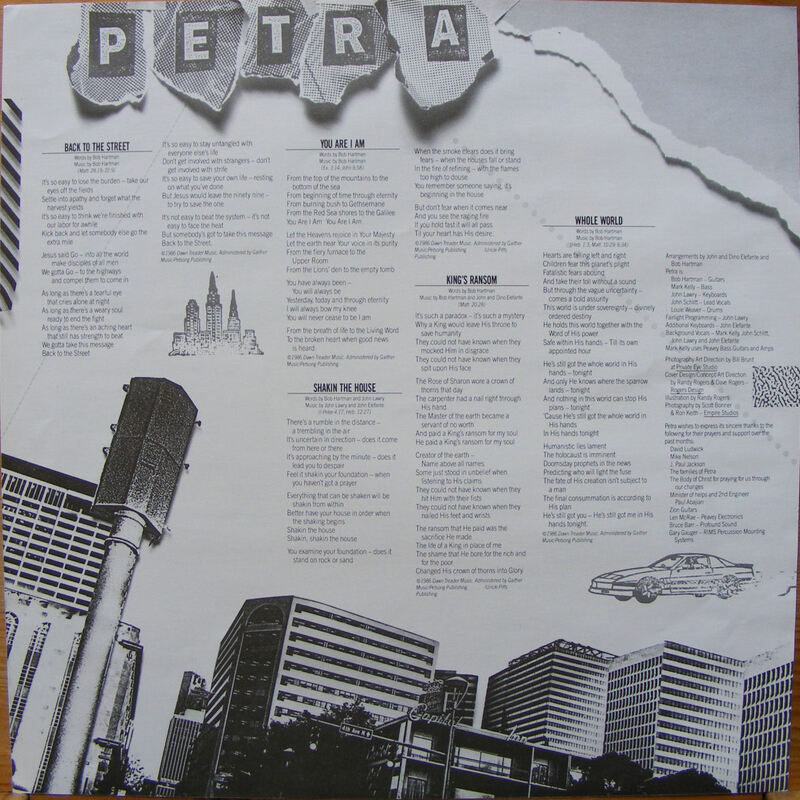 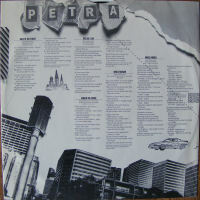 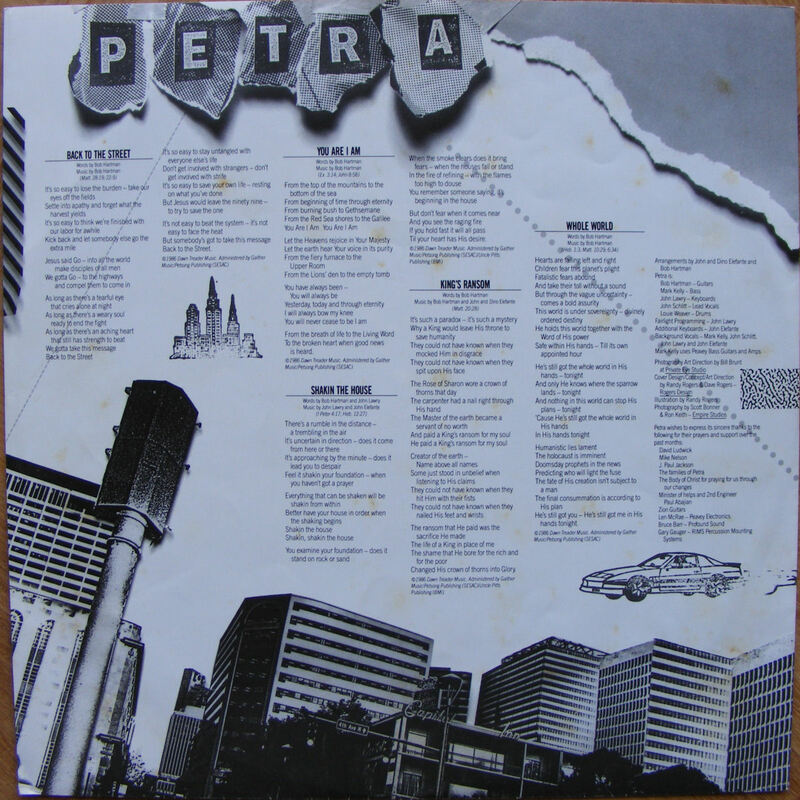 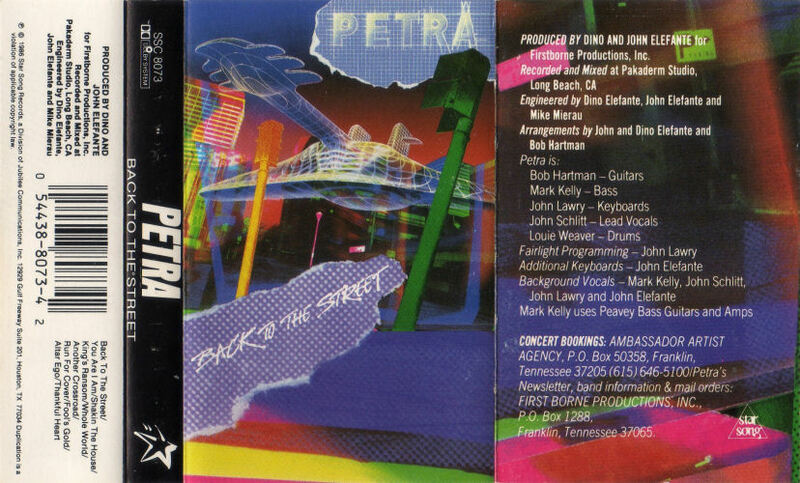 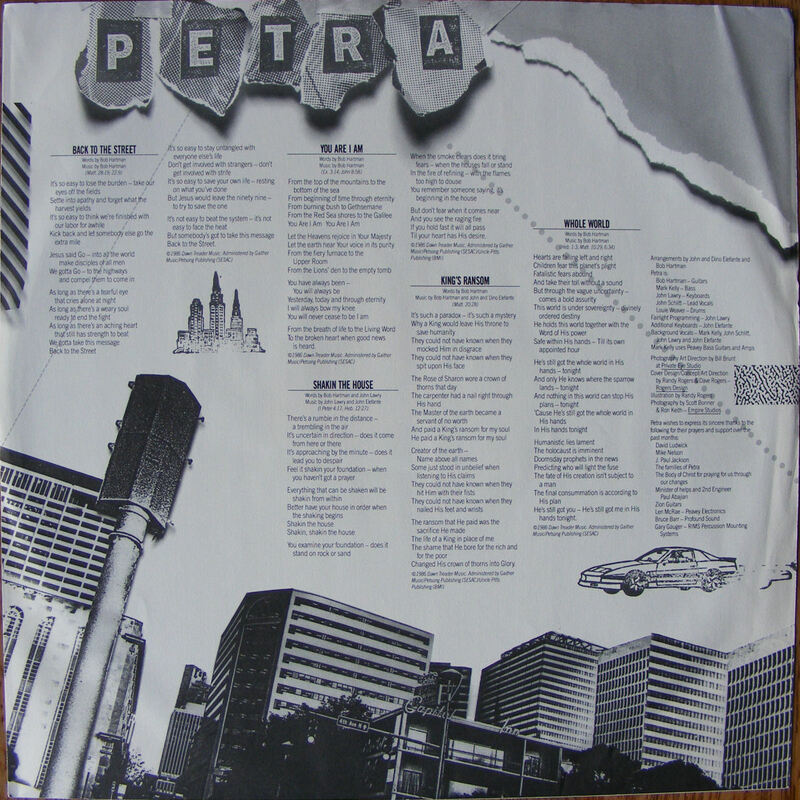 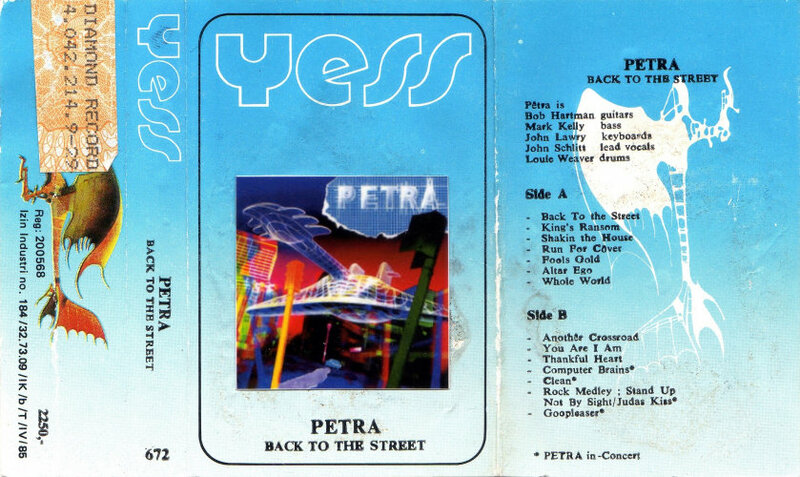 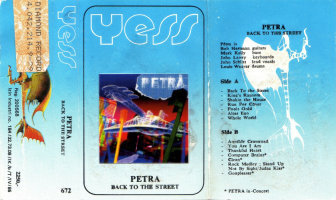 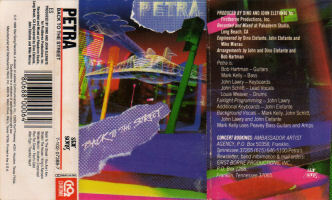 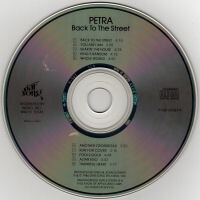 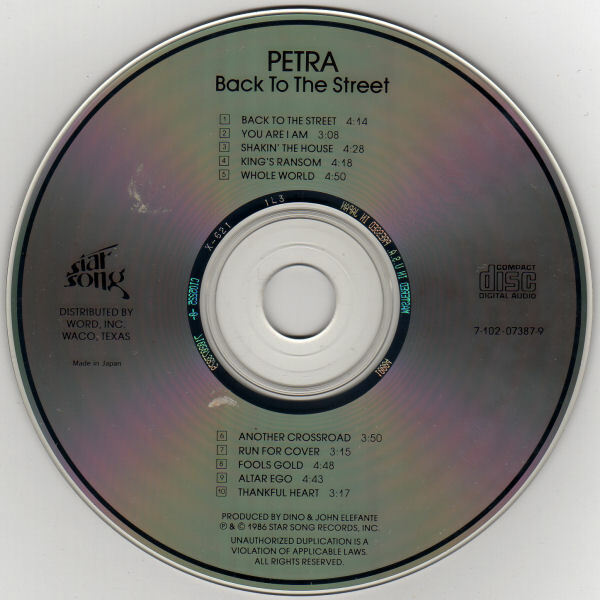 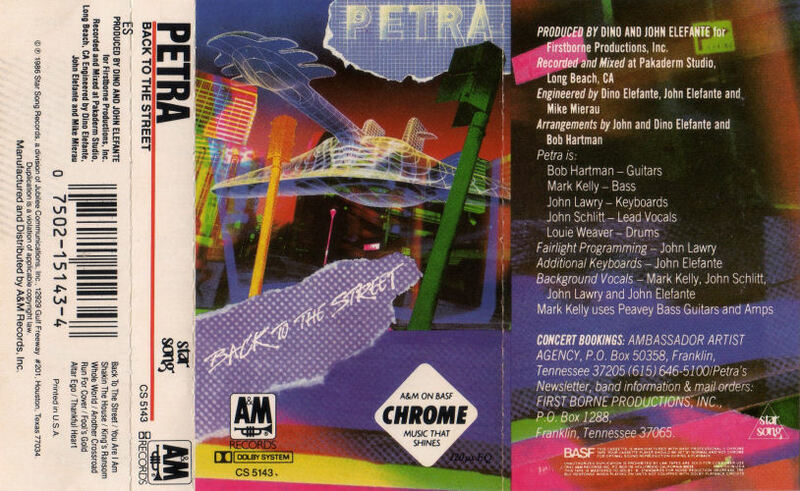 These "PETRA In-Concert" tracks are taken from Captured In Time And Space. 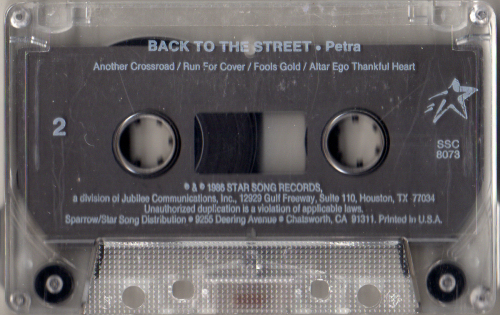 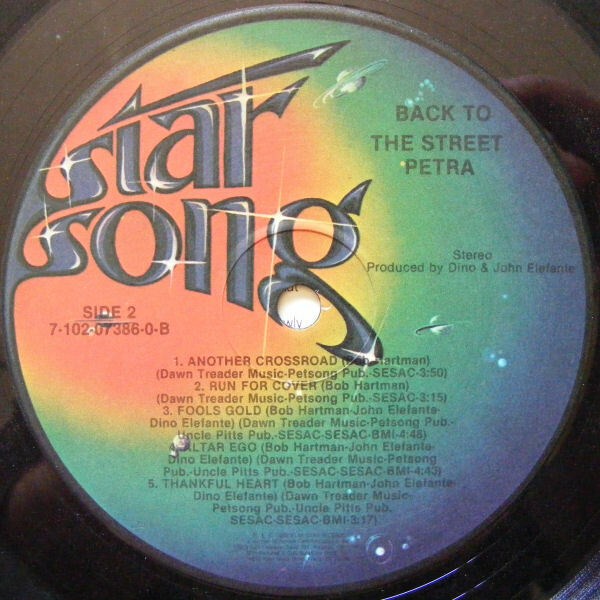 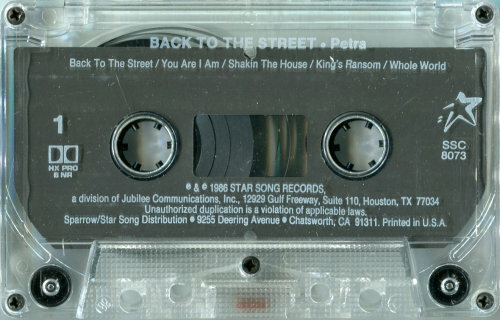 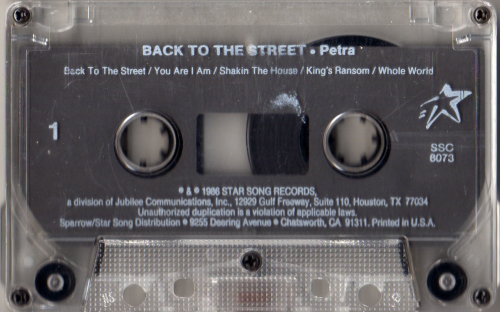 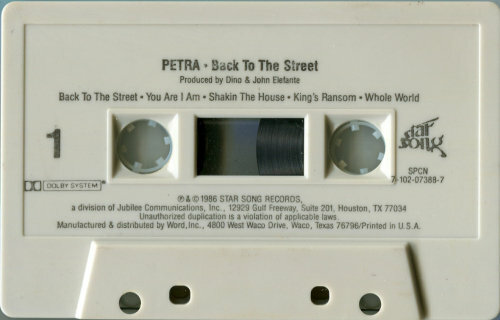 © (p) 1986 Star Song Records, a division of Jubilee Comminucations (sic), Inc., 12929 Gulf Freeway, Suite 110, Houston, TX 77034 | Disc: © 1987 Star Song Records, A Division of Jubilee Communications, Inc.